If I had one wish, I would wish to be 6 once again. Have a great and special year. Happy birthday sweetie. Enjoy every minute because today is perfect just like you. Have a beautiful, wonderful, spectacular 6th birthday! Happy birthday. Every 6 year old enjoys their birthday, but I hope you enjoy the entire year! Happy super sixth birthday! Make a wish! Actually, make six! May all your wishes and dreams come true. Have a great day! Becoming six means you can ask your parents for more cake! Haha! Have a lovely chocolaty birthday filled with fun and games! Becoming six is about six things – having fun, enjoying, cake, a party, friends and being crazy. Hope you check everything off the list and have a lovely day! I remember how special my 6th birthday was to me and I pray that it is the same for you. Happy birthday! May your wishes come true. You’re six!! How time flies!! Hold on tight my angel, because you’re going to have the ride of a lifetime! Happy sixth birthday! Dream big! Shall I let you in on a little secret? Being 6 is the coolest thing ever!! I hope you have a very cool year and enjoy to the maximum. Happy birthday. Knowing you and seeing you transform every year into a more and more lovely person is an honor. It is also an honor to wish you a happy 6th birthday! You woke up this morning and suddenly realized – you’re now 6!! It’s a great feeling, isn’t it?? Enjoy being 6 and keep smiling. Happy birthday! You’re six! You’re slowly becoming a young man. What’s great is that it’s now time for a bigger cake and more candles means more wishes! Happy 6th birthday! Today you are going to be flooded with good wishes and gifts, but I want you to know that YOU are a gift to the world! Happy 6th birthday! Everything suits you. But you look the most beautiful when you’re wearing a smile. Here’s hoping you have a year full of smiles and laughter. Happy 6th birthday. I wish you many happy returns of the day on your 6th birthday. May God bless you with endless happiness, innocence and beauty. You are an angel. Blow out the candles, make wishes, cut the cake, but don’t forget to eat it – lots of it! After all, that’s the best part about birthdays!! Happy 6th birthday! It’s your birthday! You have lit up my life for the past 6 years and I know you will for many years to come. Happy 6th birthday! Today is the most important day of my life! Why?? Because it’s your birthday! No gift is enough to tell you how special you are. Happy 6th birthday. On your special day, I would like to tell you that you are a prince of our world. You make life worth living. Happy 6th birthday. I want to tell you, wishes are meant to come true. So make 6 wishes on this beautiful day. I pray that they all come true. Happy 6th birthday! 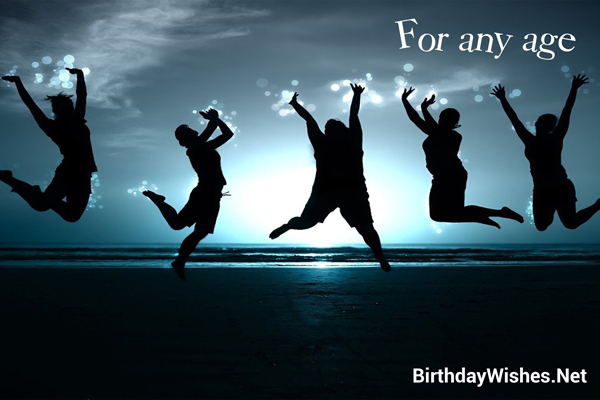 Check out this amazing collection of 6th birthday wishes, the 6th birthday wishes on this page incorporate the messages from these article, but feel free to add your own.